Northern Ohio Native Gerald Conn has been in Environmental Health since his final days of college. Working for the City of Akron Water Department in their testing lab, Gerald developed a passion for the impact Environmental Health can make on an organization and decided to pursue a career that married his technical skills with workplace safety. Fast forward to today, and Conn has leveraged his technical experience to work on workplace safety for organizations in the chemical manufacturing, automotive manufacturing, and vegetation management industries. 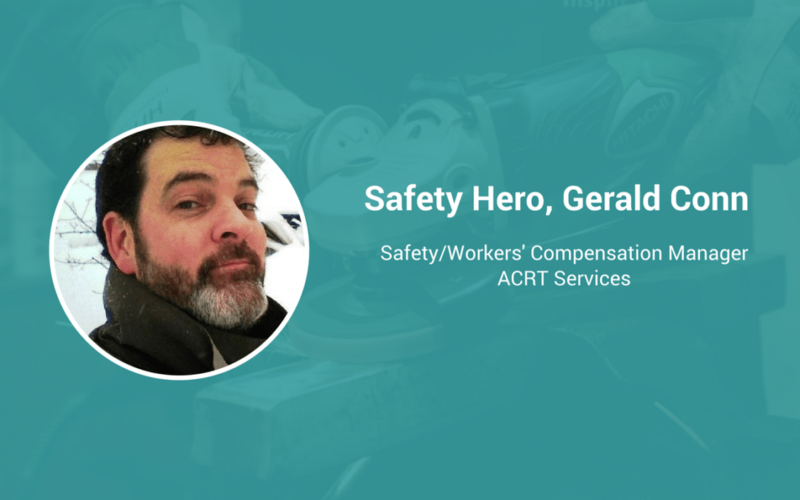 Currently, Gerald serves as the Corporate Safety and Workers’ Compensation Manager for ACRT Services. Initially, I wanted to work for the EPA. But during my early years at the City of Akron (Ohio), my boss introduced me to the world of OSHA and the importance of Environmental Health in workplace safety. I found that interesting and decided to pursue it! Knowing the intricacies of each role is incredibly important. To be the best safety professional possible, you must understand the challenges of each role in the company. That way you can tailor a safety program to address both the needs of OSHA and the individual needs of each employee. Working in three very different fields – chemical, automotive, and vegetation management – I’ve seen different incidents across vastly different circumstances. I haven’t had one incident that has changed my perspective, but rather, every incident reinforces the importance of understanding the nuances of the industry and each role within the company. Safety is not the “police” or the enemy. We are there to make sure that the employees are safe, and that the company is successful. Our only goal is to help the employees around us. I’m a ham! I don’t mind getting up in front of people, talking, and joking. I make people feel comfortable, and I can talk about anything safety-related to anyone that needs to hear it. Safety is everyone’s responsibility – it’s not just one department’s responsibility. It needs to be embraced and managed by everyone at the company. Not only from the top down, but from the bottom up as well.